Ronald G. Shapiro Ph. D.
Independent consultant and speaker in Human Factors/Ergonomics (designing products, solutions, and services so that they will be easy for people to use), User Experience, Career Development, Learning, Leadership and Human Resources. Ron has had global or USA responsibility for managing technical learning, technical leadership, employee university education, career coaching, new employee orientation and coordinating human factors/ergonomics for IBM. After a career as a corporate trainer and educator, and a life-time of studying the “art of communication”, Richard founded his company “Speaking of Success”. He now provides individual coaching, workshops, and classes in public speaking, presentation skills, and other communication techniques. His goal is to help others find the joy in successful communication and become comfortable, confident, and courageous communicators. From print ads to logo design to complex package design, Jairo draws from his varied range of experience. As Creative Director he understands both print and web design, and the printing process. He’s currently working on ways to implement new technology like Augmented Reality into clients’ communications strategies. John Prothero is a print professional with over 30 years experience in the print industry. Starting out as a driver delivering jobs, he worked in bindery, proofing, plating, traditional prepress (camera and stripping), scheduling, job planning, job management, account management and digital job production. His skills also run in the area of blog authorship, social media management, and lead generation and qualification of prospective clients. Kim Celona has been a prolific artist and writer for over 20 years. Educated in NYC, NY and Venice, Italy; Parsons School of Design (BFA) and New York University (MA), her life and art experiences are varied and extensive. She has been active in the fields of illustration, fine art, photography, writing and art education. Presently, Kim is working on a photography and mixed media series entitled, "Purveying Beauty." This current body of work consists of exploring the theme of beauty in nature primarily, while also carrying over the concept of internal/external space. Jason Robert LeClair is an honors graduate of the Massachusetts College of Art in Boston, MA. His BFA in Media and Performing arts has not deterred his original love for the visual arts. A multi-faceted artist, he is equally comfortable behind a pencil, airbrush, keyboard, or tablesaw, Mr. LeClair lives life as an illustrator, author, set designer, theatrical director and painter. His love of art, theatre, and education have led to him writing commentary and editorial work on these topics. A graduate of the Rhode Island School of Design and has an MBA from Northeastern University. She has 20 years experience combining brand strategy, design and innovation with success in building multi-million dollar brands for companies like Estée Lauder, Mattel and Hasbro. Josephine also teaches in the Masters of Branding program at SVA and RISD/CE. Patricia Raskin, M.Ed is an award winning producer and host of “Patricia Raskin Positive Living” on Saturdays from 3-6PM on WPRO, AM630/99.7FM, beginning it’s eighth year on WPRO. She is also an author, speaker and coach specializing in change and transition. 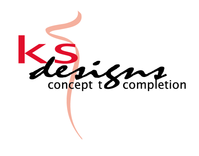 Rhode Island Creative Magazine is the official publication of ﻿KS Designs﻿.